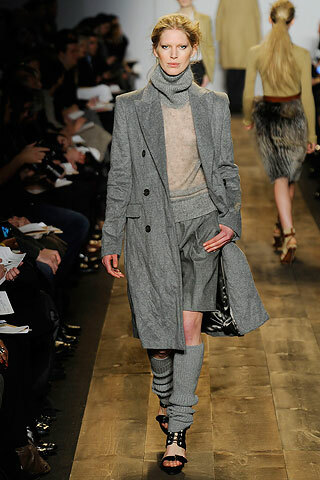 Although they haven’t been seen in quite awhile, the Walking short has made its comeback into Fashion for Fall 2010. Designers such as Marni, Alexander Wang and Michael Kors showcased this classic silhouette in their collections styling them with a nod to the past. 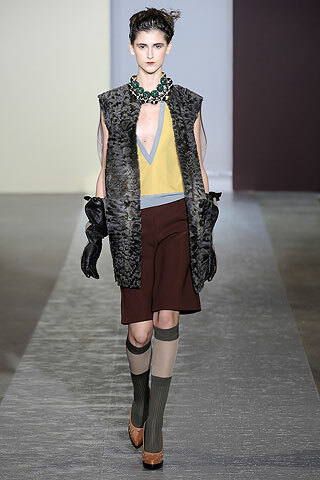 Marni referenced the 50′s while Alexander Wang channeled the 90′s. Michael Kors and many others shown below kept the silhouette classic in its styling pairing them with jackets and cardigans for a clean approach. A trend started on the streets of Paris, leather shorts will be a key item this Fall. The Contemporary market will be showing this trend in many versions and the Junior market will make its mark using fake leathers to impact at retail. Paired with everything from basic tees to blazers and knitwear, leather shorts are an easy investment that will be a versatile piece to any Fall wardrobe. Suits were seen on the runways in all variations including skirts, pants and shorts. Already seen on the streets by Gwyneth Paltrow, the short suit is a chic and modern interpretation of the Suiting trend. Dolce and Gabbana was the leader in this trend focusing on Classic tailored styles while other designers such as Generra showed a velvet version for the younger generation. Short suits are versatile and modern and can easily go from day to night with a switch up of accessories. This key item is an investment on the top of my list.